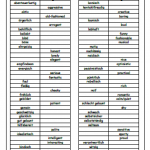 A simple table of German adjectives to describe personality. Students are given either the German or the English word and must fill in the other. 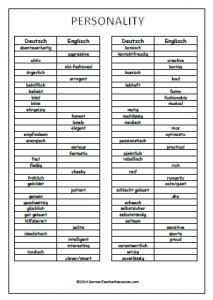 I suggest using the sheet as a dictionary exercise, with students looking up the missing words. Click on the image below to download the worksheet. An answer sheet, which could also be used as a simple vocabulary handout, is available here.